This site is the professional profile site for Mike Ange and it provides details about my professional history and accomplishments. Potential students and consulting clients will find this site of use in learning more about my history and qualifications. Changes continue: In 2016 I joined the staff at Huish Outdoors, as the global brand manager for the BARE product line. I am happy to state that I completed my research and graduate school goals last year and I am very glad to be back in the real world and the industry I love. My work includes extensive opportunities to develop equipment related solutions for the environmental issues that professional and recreational divers encounter routinely. It seems like yesterday that I was sitting in SEAduction® Dive Center in a small town in North Carolina lamenting the inadequacies of the gear available for advanced dive exposures. Much has changed in both the technology available and in our industry as a whole in the nearly two decades since then and I am proud to have played a part in many of those changes. Mike Huish and his team have built a very dynamic business model that seeks to change the path of our industry and I look am looking forward to the opportunities to be a part of the continued change that model provides. Of course, I will continue to work with the scientific and technical dive communities where opportunities are presented. 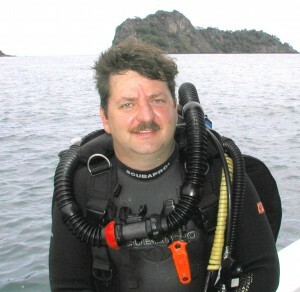 I also hope to have more time to both teach the advanced technical courses I helped to develop and participate in advanced diving expeditions in the coming years. Perhaps I will see you underwater! Note: The federally registered trademark SEAduction is used on this site with permission, all rights are reserved by the owners.